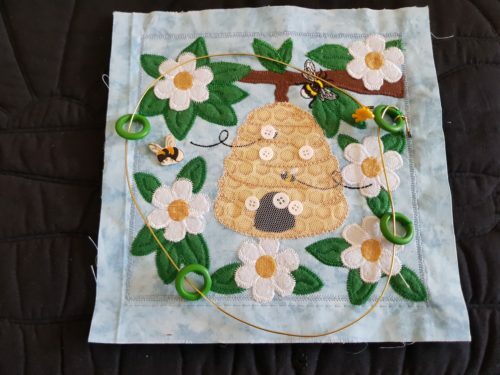 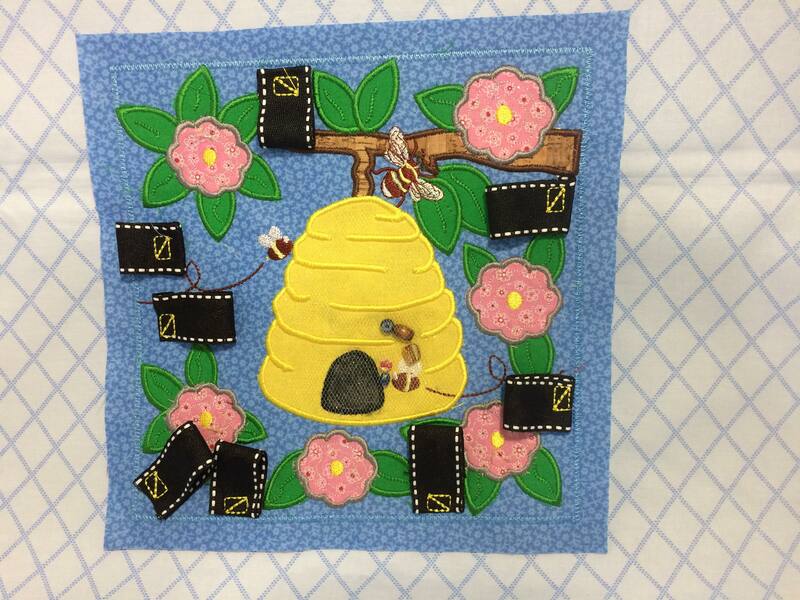 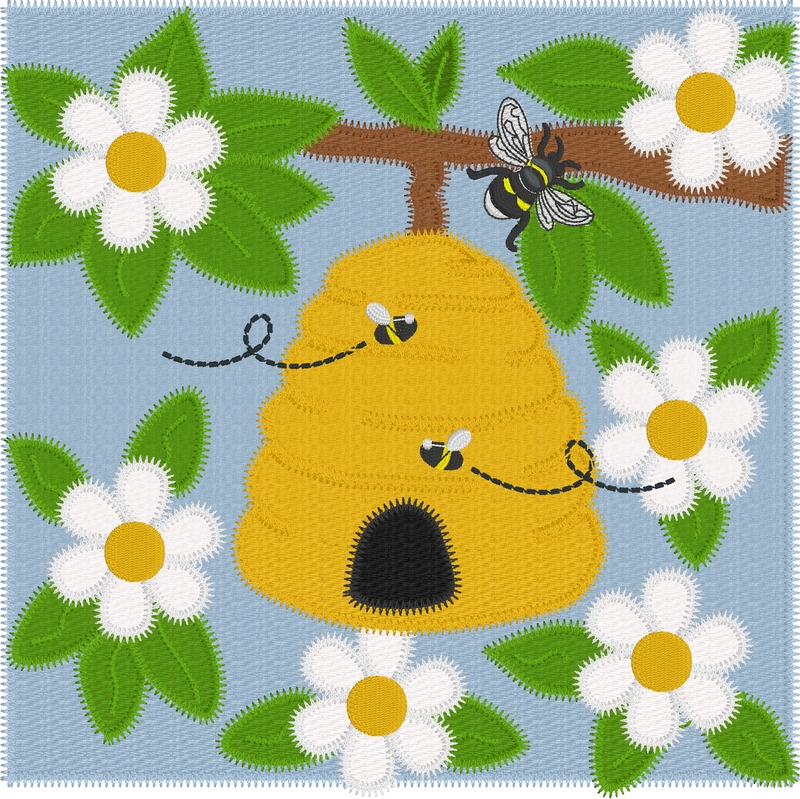 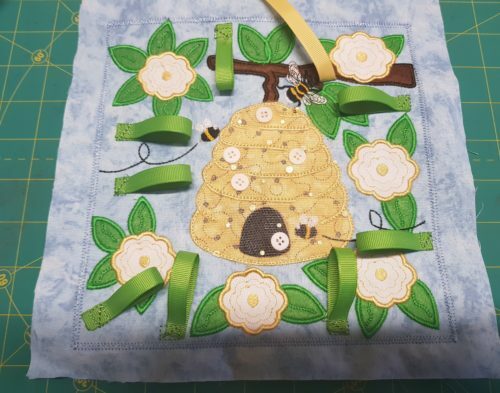 Bee hive maze and threading page made completely in the hoop (ITH) including the placement and tackdown of the ribbon for the threading activity, including SVG files to be used in cutting machines. 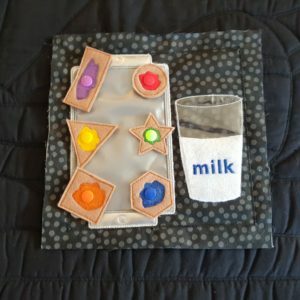 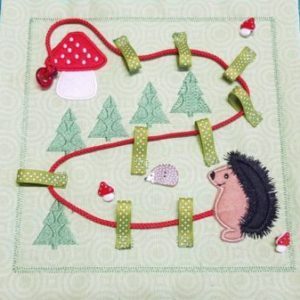 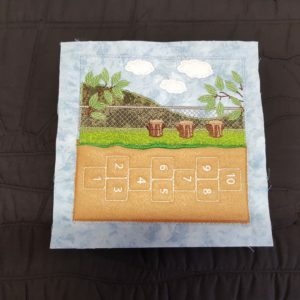 This page is very good for fine motor skills, moving buttons around the maze and threading items through loops of ribbon or rings. 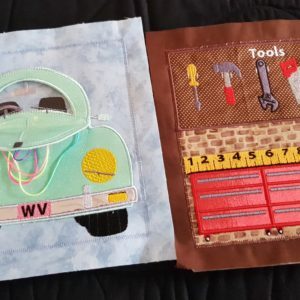 This file includes SVG files for those who use cutting machines.